Chalong Bay situated a short distance to the south of Phuket Town (approx 7km) is the nerve centre for island hopping, diving, snorkelling and sea fishing tours from Phuket. This bustling hive of activity is the gateway to the islands, dive sites and natural movie sets of the Andaman coast and everyday hundreds of boats filled with tourists leave the bay to explore some of the most spectacular coastline and marine life in the world. The possibilities are staggering, but popular itineraries include tours featuring; Phi Phi Lei (Maya Bay), the fictional setting for the 1994 blockbuster film The Beach, starring Leonardo Di Caprio and James Bond Island, instantly recognisable to those of you that remember Roger Moore duelling with arch villain Scaramanga in The Man with the Golden Gun. Whilst it is undoubtedly the wonders available out in the azure seas that entice the tourists, especially the backpacker crowd, there are many activities to be experienced inland close by to Chalong that make this the epicentre for any smart traveller’s trip to Phuket Island. It would be a misconception to assume the only fun to be had at Chalong leaves from the main pier. In fact, Chalong boasts some of the finest activities on the island and many of these are conveniently located in one place at the Kinnaree Entertainment Complex, which occupy the same grounds as the Phuket Shooting Range. Located just west of Chalong circle on the road to Kata Beach, the Kinaree Entertainment Complex houses the Phuket Monkey School, Cobra Show and Snake Farm which offer daily shows that will delight and entertain the whole family. The Phuket Shooting range actually offers more than just it’s impressive shooting range and activities include; paintballing, archery, All Terrain Vehicle (ATV) rides amidst the islands stunning mountain scenery, Clay pigeon shooting and Airsoft BB guns activities (similar to paintballing minus the paint). Phuket Zoo is close by to Chalong and offers an experience like no other. With beautifully landscaped scenery it is home to a stunning array of animals, wildlife and birds and has daily monkey, elephant and crocodile shows. The Aquarium is particularly noteworthy for its spectacular entrance, where visitors have to walk through a giant crocodile’s mouth to get to the wonders within. Other activities include; a round of golf at the Phunaka Golf Course & Golf Academy on a spectacular floodlit 9-hole course, Elephant Trekking in the hills above Chalong, Muay Thai boxing Shows and training and Thai cookery classes. When the diving, fishing and island-hopping boats return to the bay of Chalong in the evening, the nightlife really starts to kick off. The action is mostly located around the waterfront and from Chalong Circle stretching along Chalong Pier Road. There are a host of bars and restaurants with a laid back, friendly atmosphere offering good Thai and international cuisine. For a colourful, lively scene visit the bars along Chalong Pier Road, which has a similar atmosphere to that which you will find in many of the busy resorts in Phuket such as Patong and Karon. Many of the bars have beautiful hostesses, stay open late, have pool tables and show major sports events. A quality dining option close to Chalong Circle along the Kata Road is the Green Man Pub. This unique bar and restaurant, in the style of a traditional Tudor English country pub, is especially popular on a Sunday when they serve up a famous English Sunday Roast. 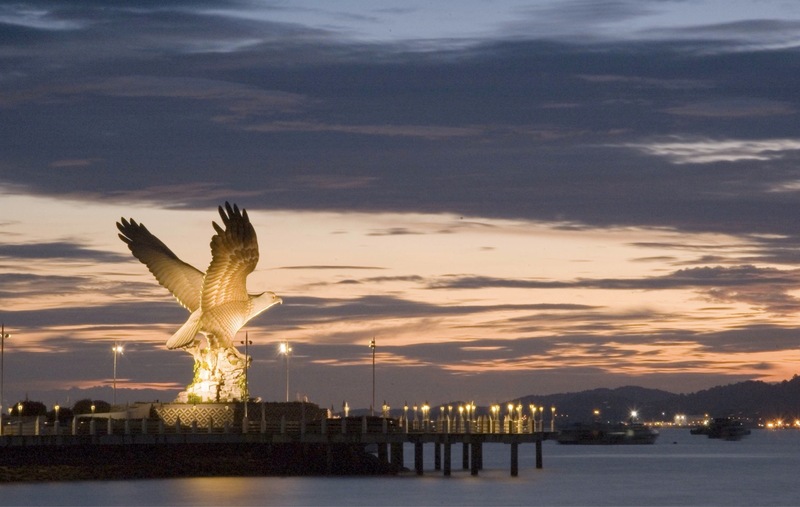 Langkawi Island is one of South East Asia’s best kept secrets. Located at the confluence of the Straits of Malacca and the Andaman Sea off Malaysia’s northwest coast near the maritime border with Thailand, Langkawi comprises of 99 islands mostly covered in untouched rainforest. Its beaches are some of the region’s best and only three of the islands have been developed. While few buildings rise above the height of the beachside coconut trees, excellent infrastructure including an international airport, cruise liner berth and various well-managed tourist attractions are in place. In Langkawi it’s possible to relax and do absolutely nothing. However, for those who love nature and adventure, Langkawi offers sailing, watersports, jungle treks, diving, mangrove excursions, bird watching, fishing, mountain climbing, thrilling journeys into the rainforest canopy and visits to local villages and farms. Koh Lipe is a small island in the Andaman Sea (that’s the Phuket side of Thailand) in the South near the Thai-Malay border. 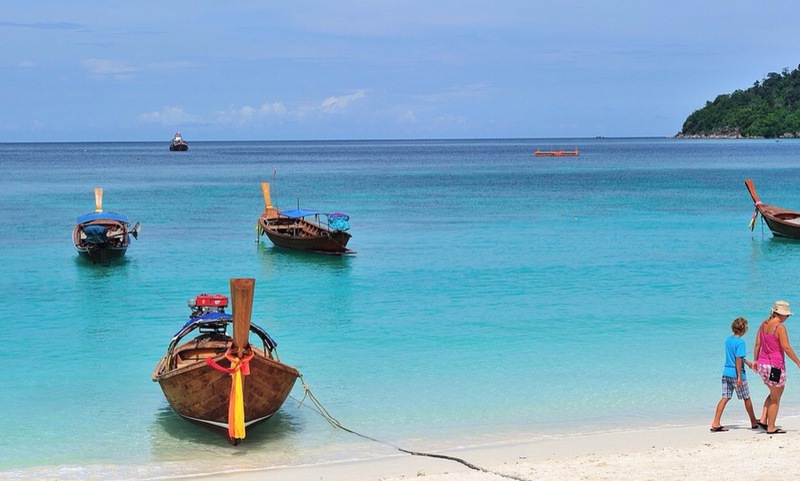 Koh Lipe is part of the Tarutao National Marine Park, Thailand’s largest marine park. When we say small, we mean really small. Koh Lipe is about 3.5km by 2.5km and there are only a couple of thousand rooms on the whole island. This of course is part of its attraction, small, remote, surrounded by uninhabited islands and breathtaking beauty. There aren’t many places in Thailand which offer the same attractions. Koh Lipe is 60km from the nearest Thai port, Pak Bara, and 40km from Langkawi.. 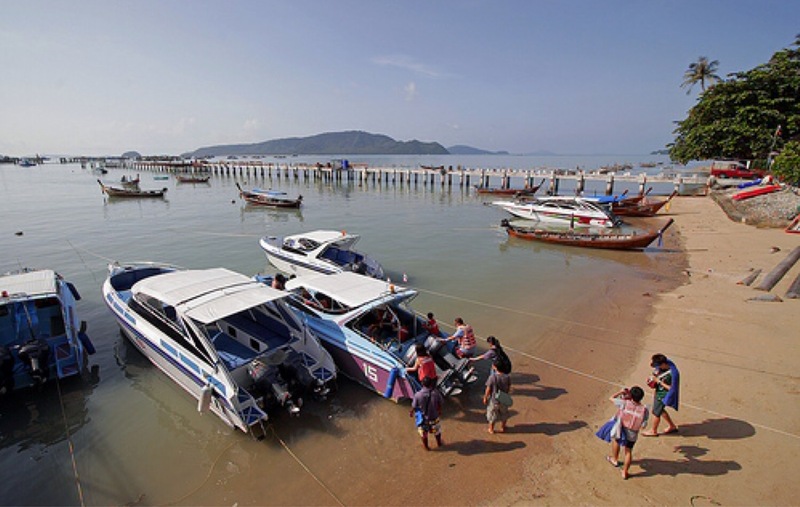 The easiest way to get to Koh Lipe is from either Pak Bara or Langkawi, but during the high season these are not the only ways to get here. The high season is from early November to late April and there are speed boats and ferries connecting Koh Lipe with all the islands and areas up and down the coast including Koh Lanta, Krabi, Koh Phi Phi and Phuket. During the low season, from May to the end of October, the only direct boats to Koh Lipe are from Pak Bara. To get to Koh Lipe from Langkawi you can travel via Satun to Pak Bara and catch a speed boat to Koh Lipe.